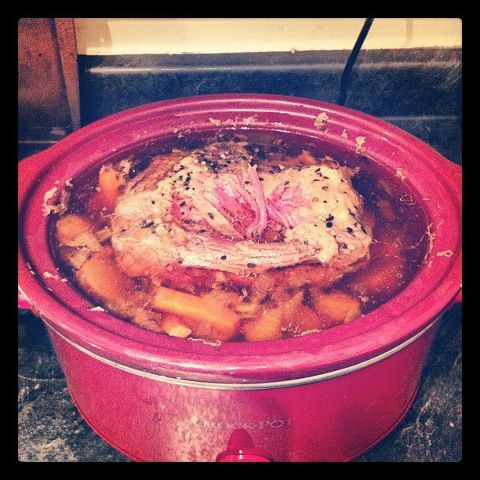 Slow Cooked Corned Beef In Gansett Bock. We can smell it now. That warm inviting smell that fills the house on St. Patrick’s Day when ma is making corned beef and cabbage. It takes hours in the slow cooker filled with meat, cabbage, potatoes, and cabbage. Just to be devoured hours later by the hungry family. Sure go ahead and put a little yellow mustard on it. It’s St. Patrick’s Day after all. Mmmm. This time you’re older and wiser, so pour some Gansett bock in there and let the magic begin. Thanks to our twitter follower Lindsay (@seed193) for giving us the idea. All you need is One Gansett tall boy of bock, 3lbs corned beef, a head of cabbage cut into 1/8ths, 6 medium potatoes, 1lb baby carrots, peppercorns, water to cover, let is simmer for 8-10 hours on low in your slow-cooker or Crock Pot, and enjoy. Happy St. Patrick’s Day.